2012 was a pretty eventful year for me as a gamer. I got a nice new rig which is pretty mid range for what it is but it can handle the different things that I throw at it. This has allowed me to get back into my back log and get rid of a few games that I have never truly have had an opportunity to play or experience. Some are in Alphas still and others are full blown AAA releases but each has been a good moment in time. So, shall we begin? I say we do. The first gaming moment of this year would definitely have to be me barging through Skyrim with my character who oddly has had problems here and there. My journey through the beautiful world started due to me being in the wrong place at the wrong time which got me caught with Ulfric Stormcloak. I was on enemy lines and I probably shouldn't have been there but I didn't care. I got caught by my fellow Imperials. I promise that I didn't mean to be caught in the Empires way. My clone did it. I mean it. My best moment even after being taken prisoner had in Skyrim definitely had to be that joyous moment when I beat Alduin. It's not that he was a hard person to beat but because he was an antagonist who has tried really hard to remain immortal for as long as he possibly can being that he's a dragon. You know, dragons, the things that breathe fire and sing songs to children. It's not to say that they don't do that when they're attacking places like Whiterun. 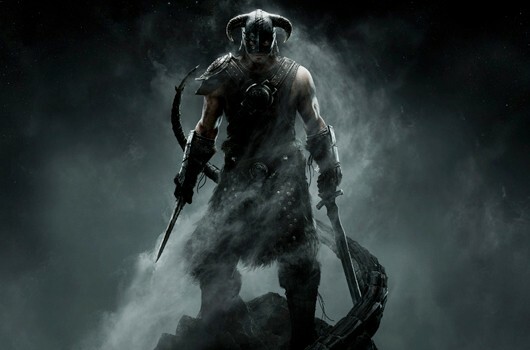 It's safe to say that I have fought many a-dragons and that i'm the Dovahkiin. Got it, home boy/girl/it/thing? My other gaming moment has to be going through Most Wanted and Carbon again. Both games bring back some pretty good memories of a time when Electronic Arts actually made fairly good games that whilst being yearly iterations, they also improved each time. Most Wanted brought back those moments of really stressful pursuits where no one man is the best at dodging cops because even if you know the routine, it's never that easy. It's always hard to see the future when it comes to racing games and I still fail at recovering from my screw ups a majority of the time. Most Wanted has the blacklist to be thankful for as the original game has that ability to make you irritated at the main antagonist because you have a beautifully fast ride and then it gets taken right from under you because someone doesn't understand fair play. Carbon just had that moment where I understood that i'm doing someone elses work and i'm not going to do that because i'm more qualified to run the city than Darius is. I'm also not some super rich punk like he is either which adds onto my undying hatred for him. My third gaming moment is an indie game which isn't even near release but it still has kept my attention due to the developer. I'm a big Wolfire Games fan due to their unique style of games that they make that aren't traditional. I'm listing Overgrowth Alpha as that interesting game that isn't really a game yet due to how it's still an Alpha plus the fact there isn't no actual story just yet. It's still runs like a charm in high 1080p and allows me to be a beast beast while I try to take out other animals which are out to get me. The uniqueness of the game and how it plays is why it is well deserved as my top gaming moment as I have never enjoyed something that much which has no HUD. My last gaming moment has to be Metro 2033. I'm late to the game and I understand that but it's one of those games I can't put down. The feeling of the Dark Ones constantly around the corner, feeling like I might die any moment, and that every last bit of ammo counts as you can't just spray in pray as that is about as useful as hitting the enemy with a pencil. Pencils aren't super effective against mutants. I'd know. I tried it once. I don't recommend you do or else you're going to be chased through a post apocalyptic Moscow and it'll feel like you're doing your own version of the Olympics.